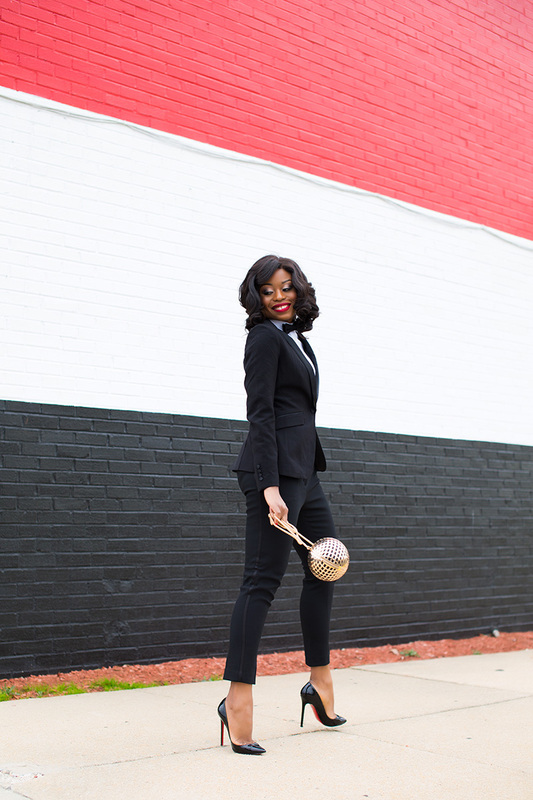 Today's post is a holiday inspired look that gives an easy outfit transition from work to “work party”. 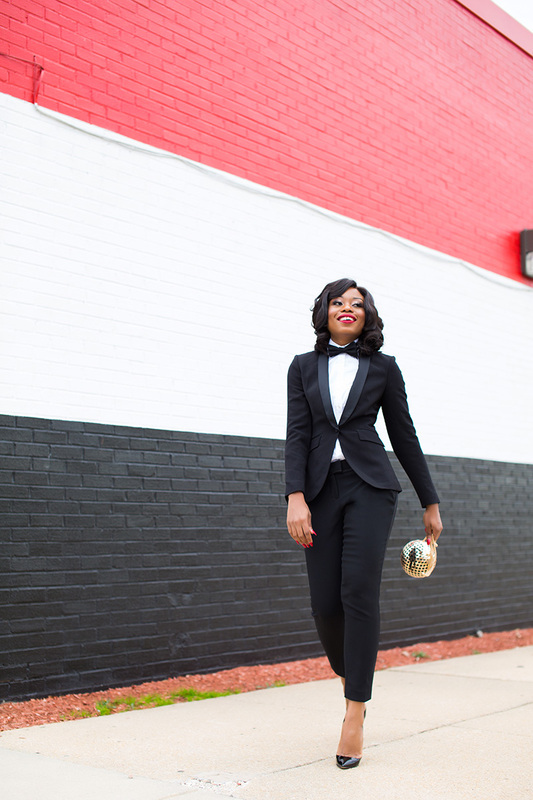 I love the fit and style of this tuxedo blazer and pants. 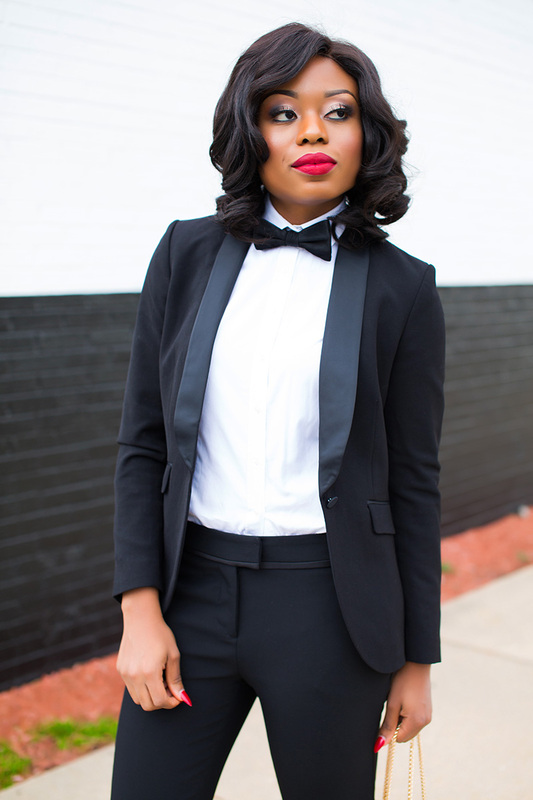 In line with the male inspired look, I added a bow tie and completed the look with my round clutch. Black and white seems so simple, yet it's such a classic combination! And the touch of gold and red make it even more interesting! Awesome look! Love this chic and elegant look! You look so beautiful in this suit! Love this outfit so much! So effortlessly classic! Stella... What sizes are you wearing in these suit and pants? I'm 5' 7" and size small/4, I find HM suits to be short on the sleeves for me. Stella, love your outfit, you're too adorable, Happy Holidays! Just got my inspiration for my African print fabric. This look fab Stella, just fab! Appreciate the reply. How about the pants, what size? Sometimes 6 fits and other times 4 works. Just wanna make sure before I order :) Thanks. 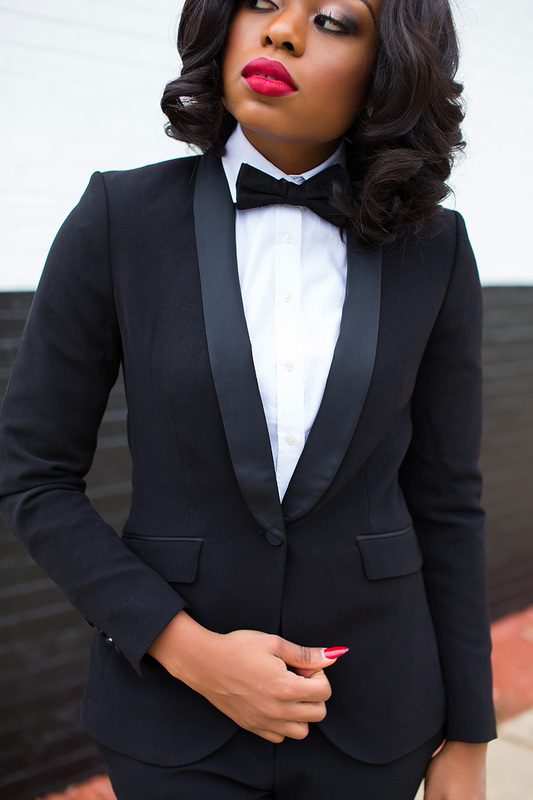 I love the androgynous look. Gorgeous! In love with this look! The purse is amaze!